Copyright: You own all of your Content, and subject to our terms of service, you can control how it is shared through your Account settings. Photos may be featured on the blog to advertise the winners. Photos approved for the marketplace are available for buyers to purchase, enabling you to earn additional income. Grand Prize Winner: $100 Amazon voucher for photography equipment and be featured in our upcoming social media campaign. The winner will also be rewarded with Ultimate Lightroom Presets Workflow System worth $97 for free download. Fathers are fabulous any day of the year. From their life-changing words of wisdom to them evoking in us a sense of independence or englightening our practical street-savy side, we have a lot to thank our dads for. 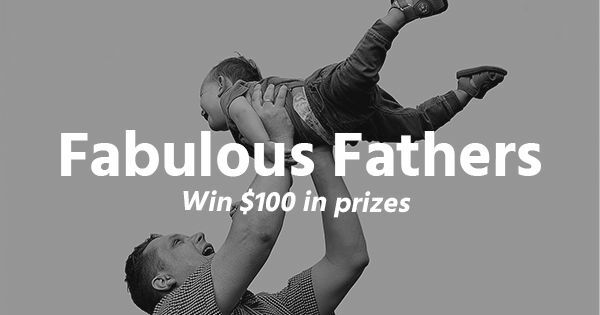 Let’s get together to celebrate the wonderful men of immense talent that our dads are.